Newest Private Label Products: We have released six new fertilizers! Featured development: Learn about our 80/20 specialty surfactant! Newest development: Prominium active wetting tablets available today! Newest development: Nutrium™ turf amendment agents available today! 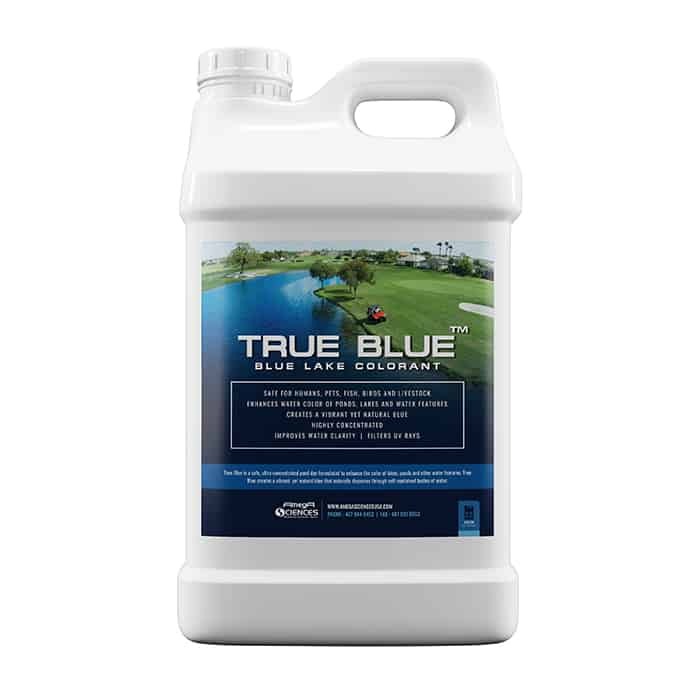 True Blue is a safe, ultra-concentrated pond dye formulated to enhance the color of lakes, ponds and other water features. True Blue creates a vibrant, yet natural blue that naturally propagates through self-contained bodies of water. 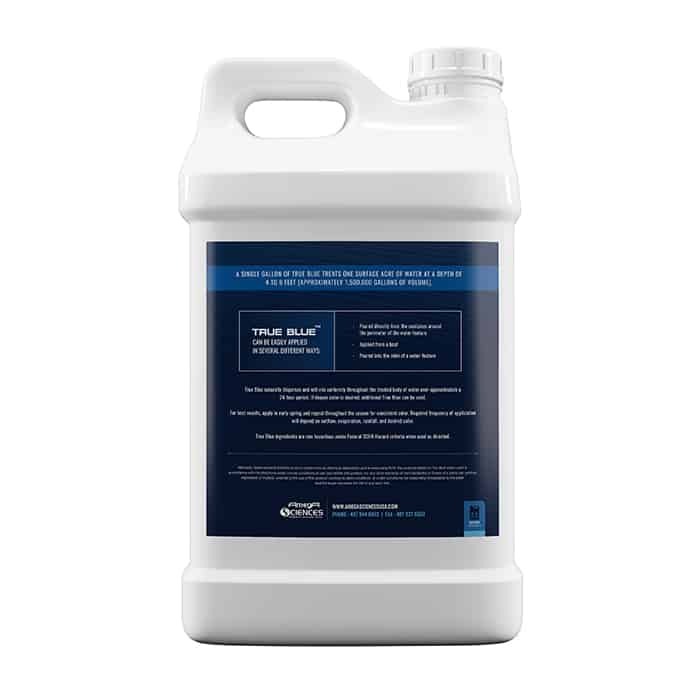 A single gallon of True Blue treats one surface acre of water at a depth of 4 to 6 feet (approximately 1,500,000 gallons of volume). True Blue naturally disperses and will mix uniformly throughout the treated body of water over approximately a 24 hour period. If deeper color is desired, additional True Blue can be used. AmegA Sciences USA is a Florida based private label manufacturer which internationally serves the agriculture, horticulture, turf & ornamental sectors. We are the largest company in the states within this niche, offering a wide range of chemical-based formulations which can be customised in various ways for our clients, as well as various complimentary services to supplement them. © 2019 Amega Sciences Inc. All Rights Reserved.